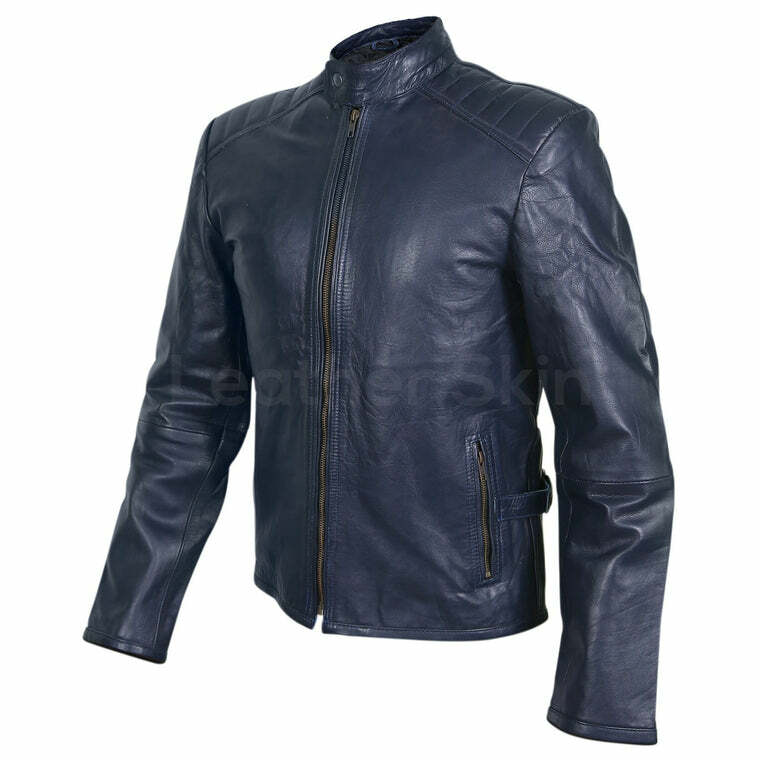 Whenever one imagines a leather jacket, the only color that pops into one’s mind is black or brown. 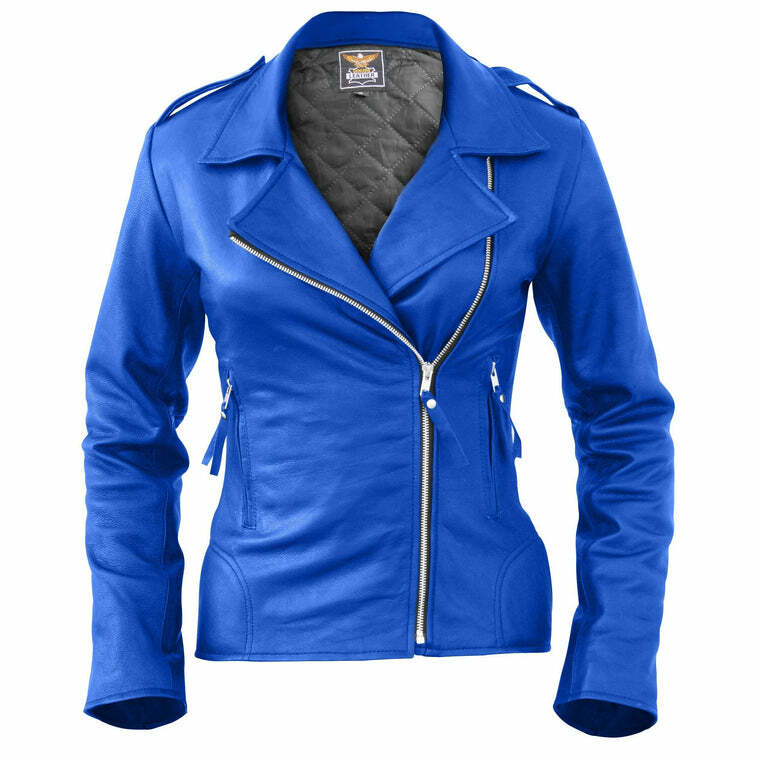 Blue has a very serene and calming aura. 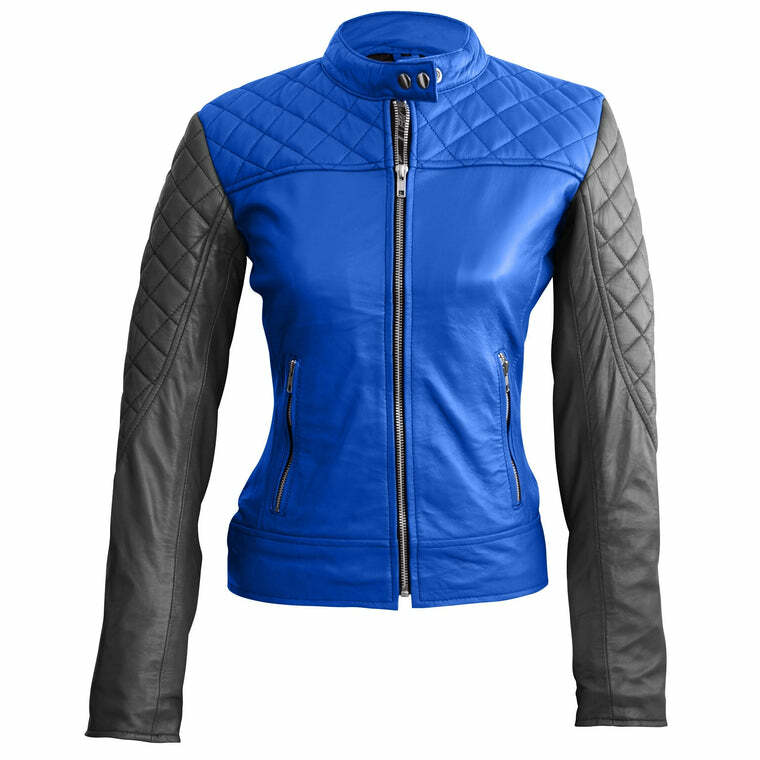 A stark yet subdued hue, blue does not nearly get enough credit. 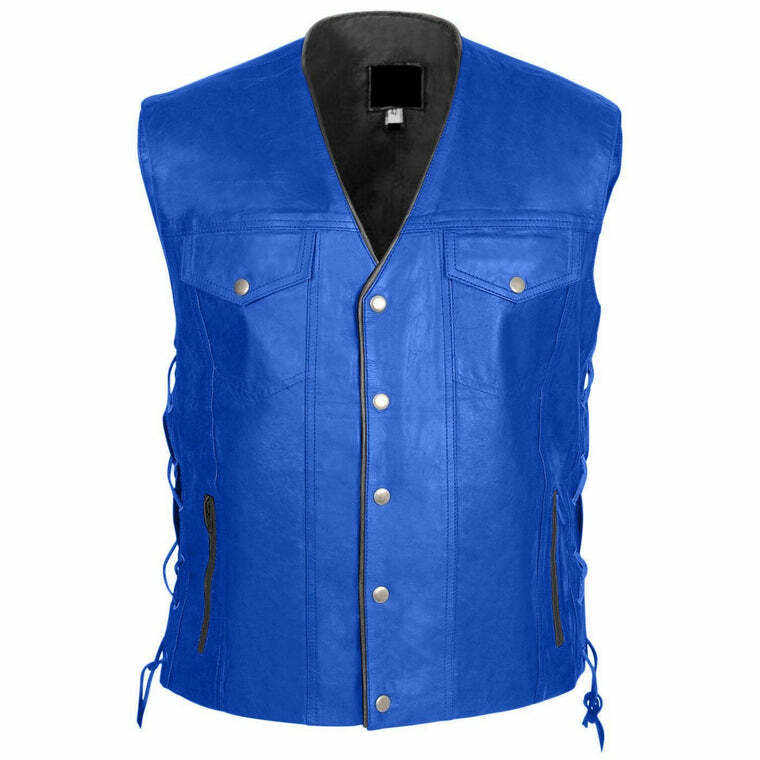 Although a staple color in many apparel items especially denim, leather is hardly ever associated with this incredibly versatile color. 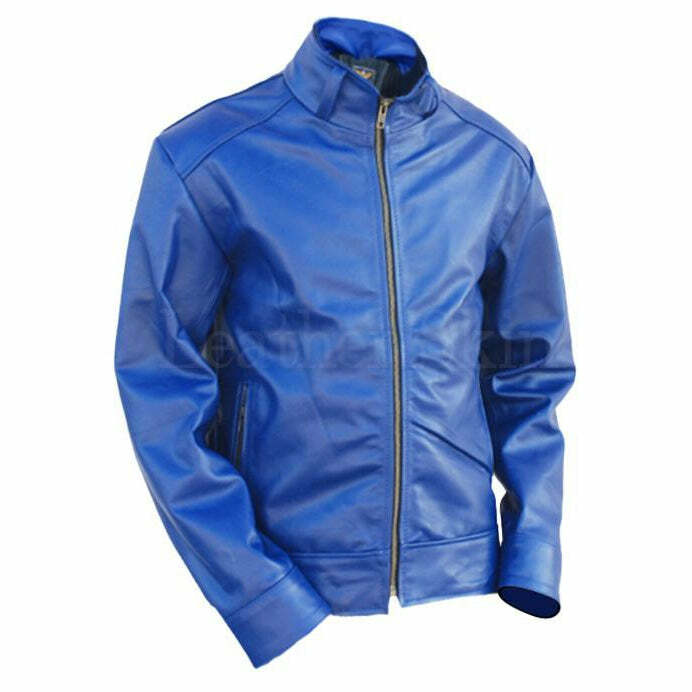 Blue leather jackets are the ultimate fashion statement. 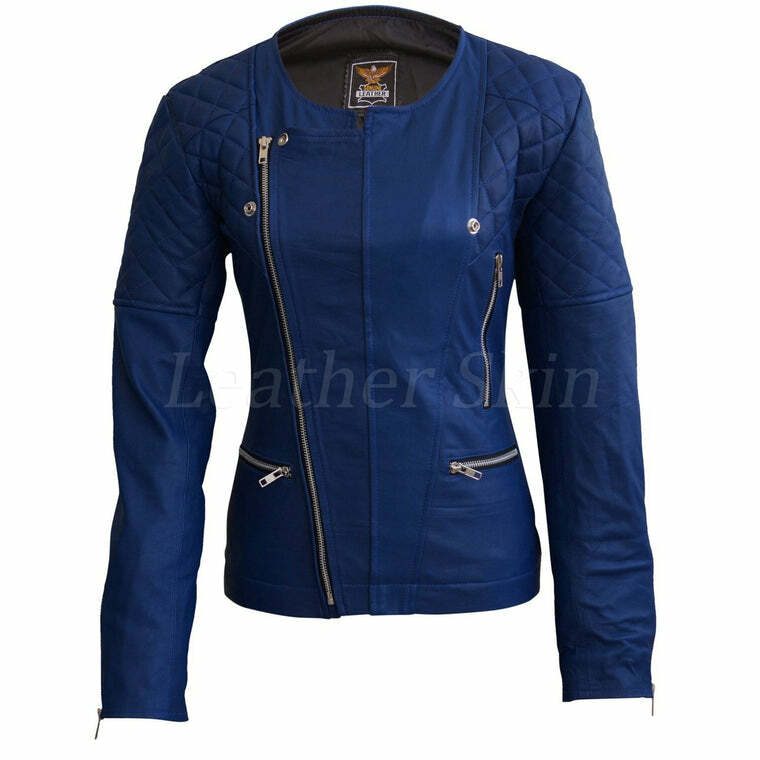 The perfect pick for those who wish to experiment with something new but not go completely out; blue is an exciting start. 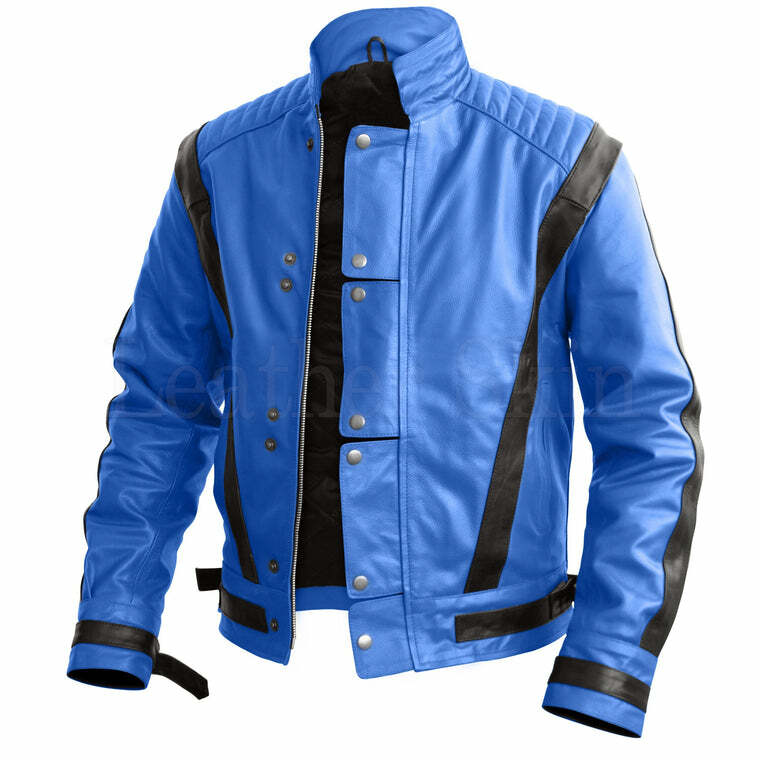 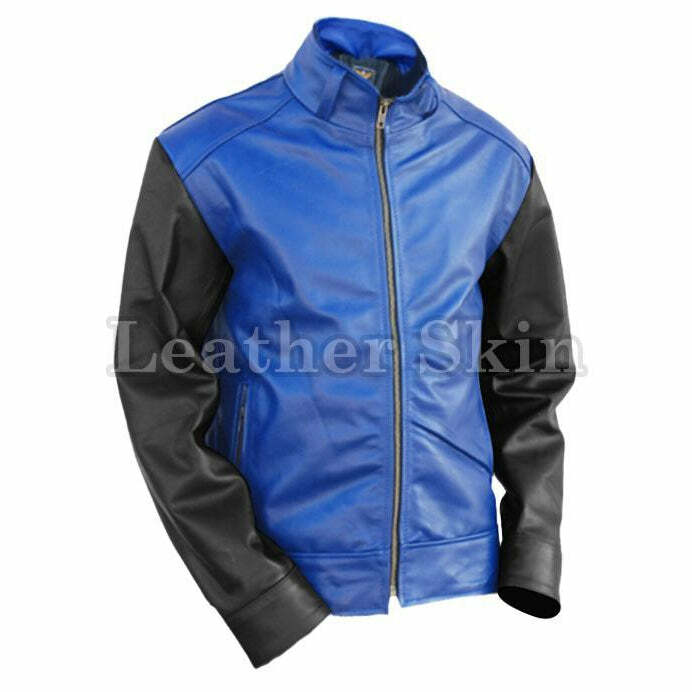 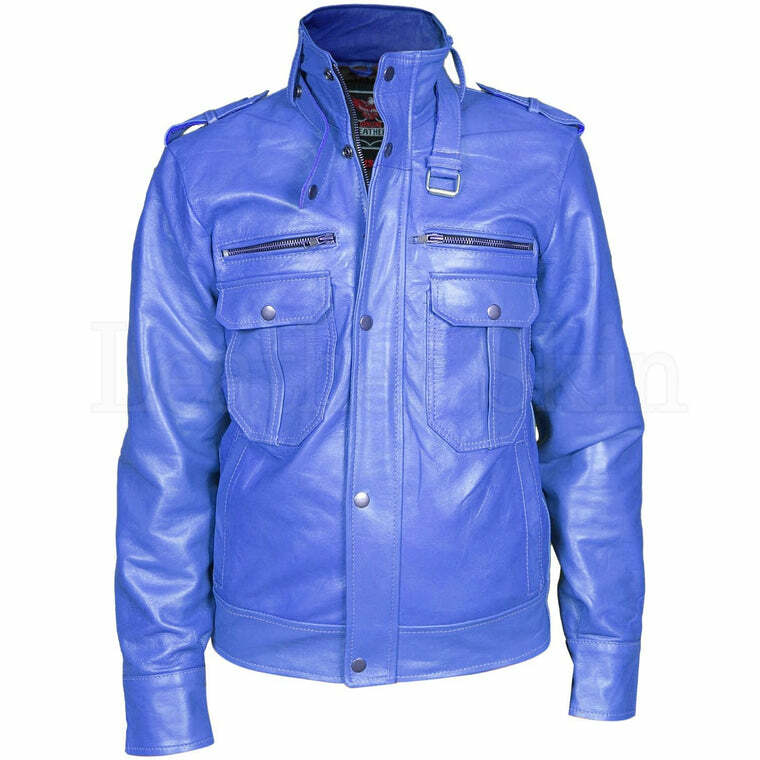 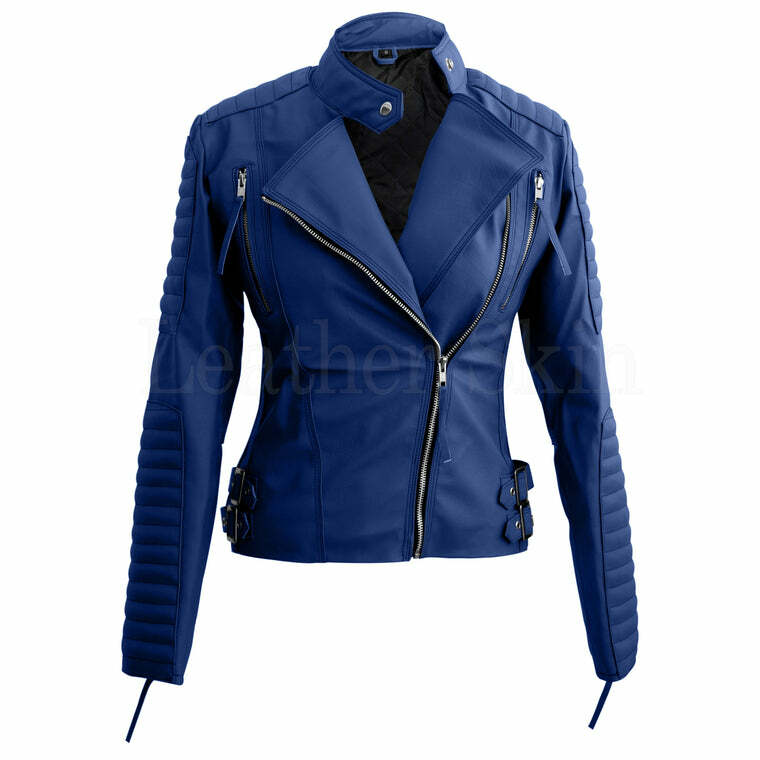 You can find blue leather jackets in an impressive variety of shades and styles. 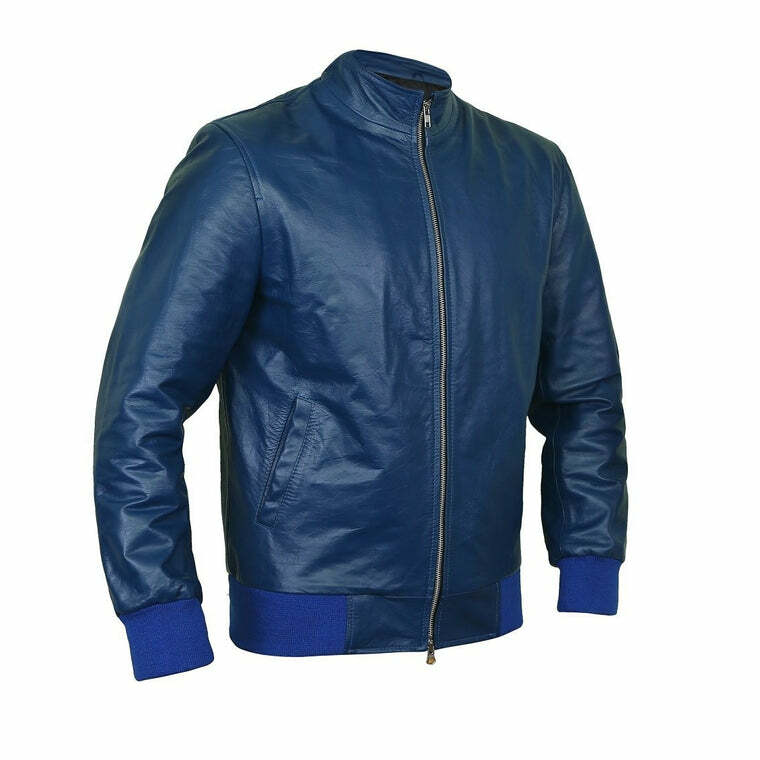 From pale, light sky blue to rich, royal blue indigo to mysterious, deep navy blue; everyone has a favorite shade of blue. 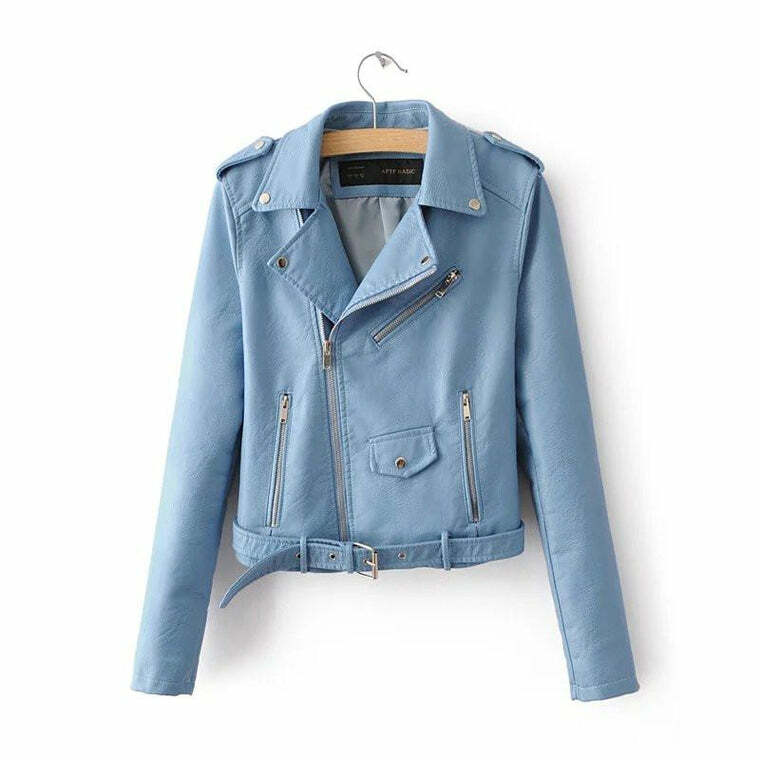 An edgy biker jacket with its signature zippers, a sleek and form-fitting moto jacket or a safe but classic blue leather bomber; find a design that vibes best with yours. 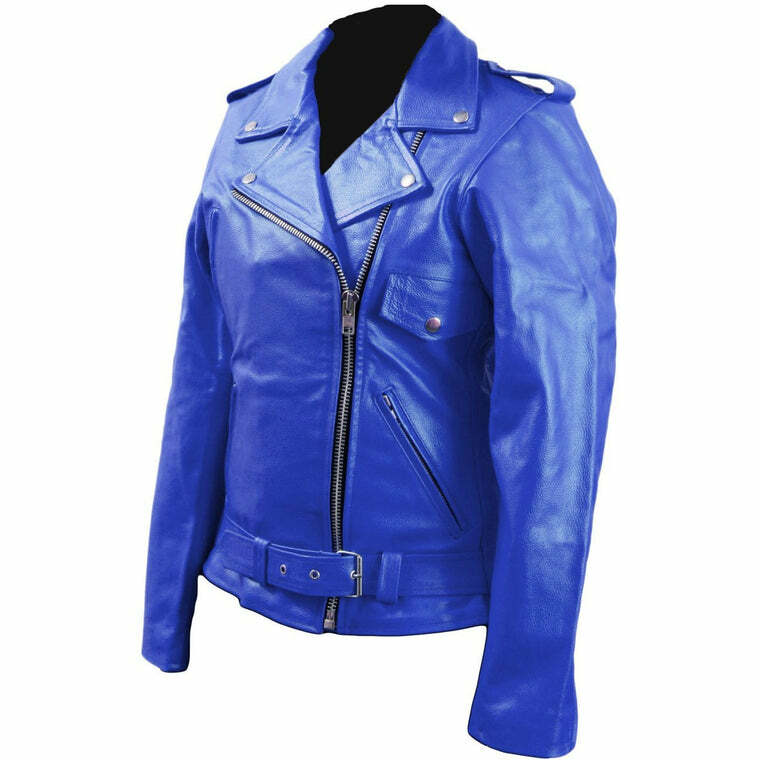 Blue leather jackets are hard to get a hold of, especially when you are looking to choose from a variety. 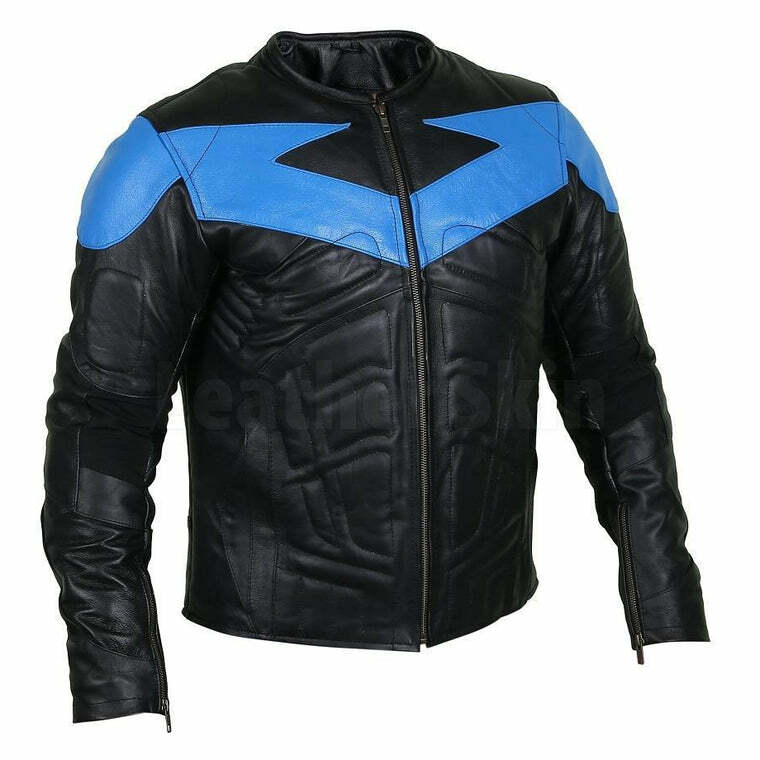 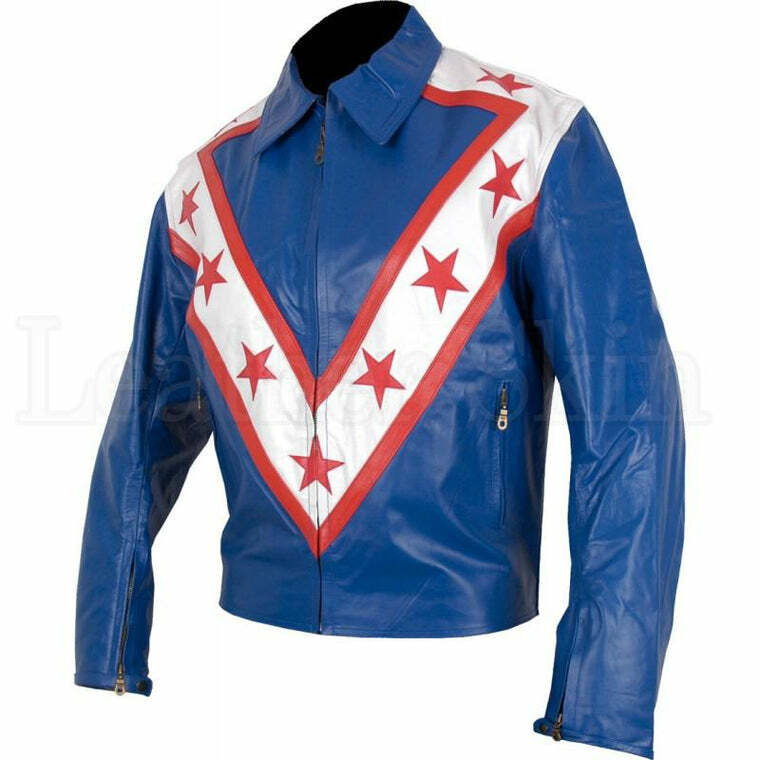 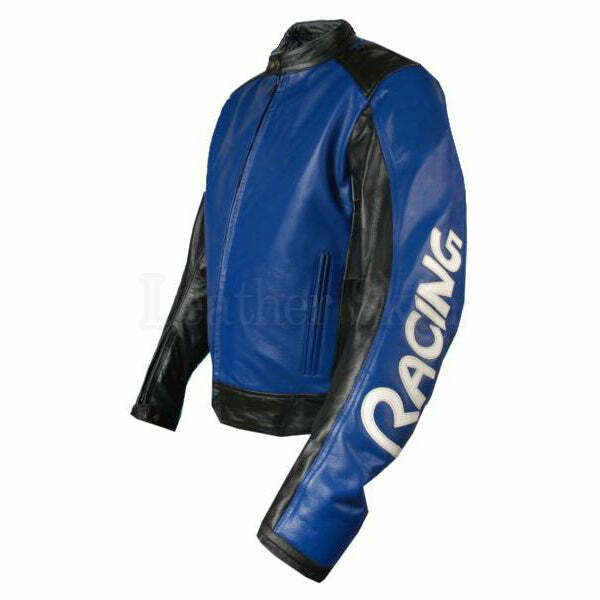 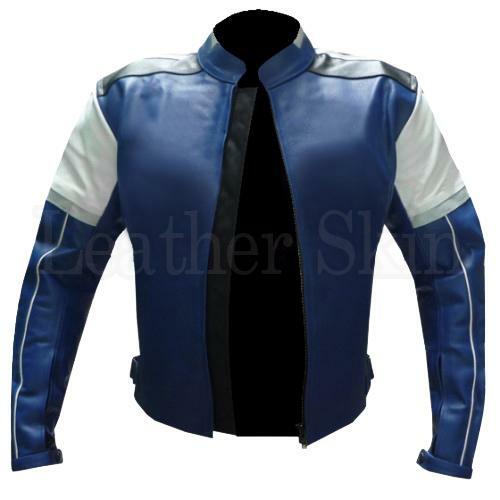 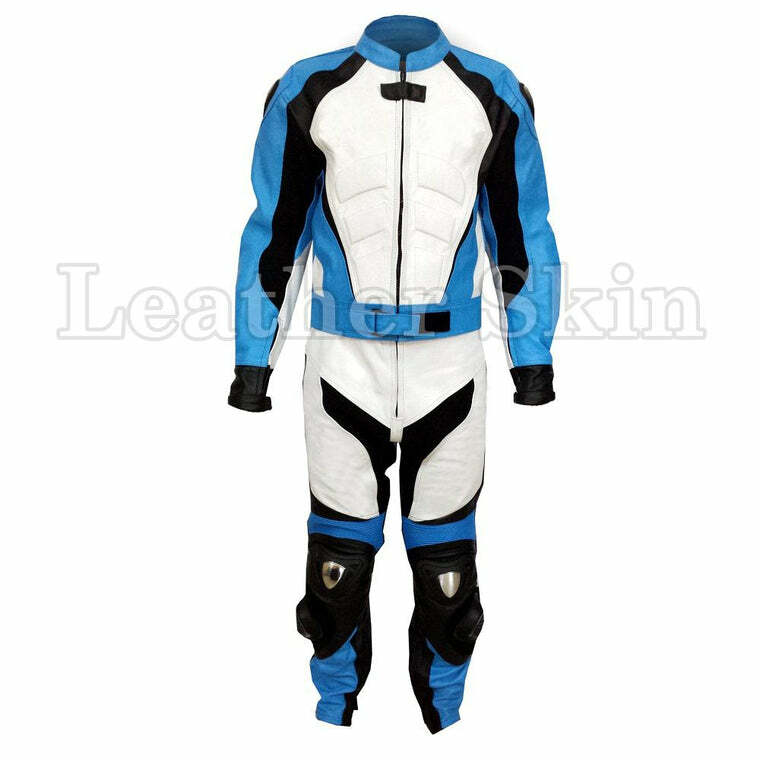 Leather Skin Shop is home to some of the most exquisite blue leather jacket designs for both men and women. 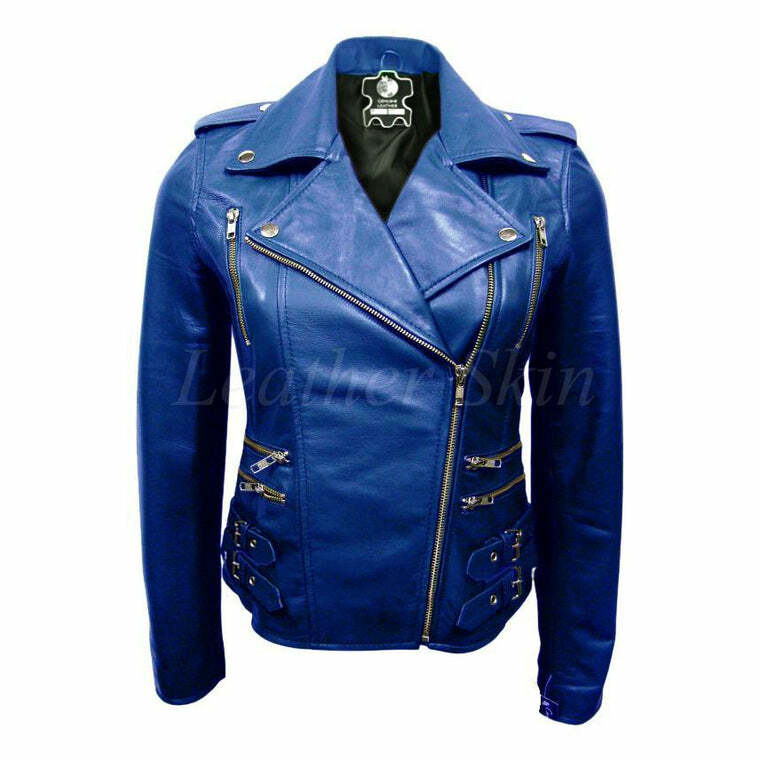 Offering you the best prices with incredible designs and impeccable quality; Leather Skin Shop gives you your money’s worth.